Dr. Elizabeth Lezin graduated the medical school from David Geffen School of Medicine at UCLA and did her internship at the UCSF. She is specialized in pathology and board certified in general pathology. 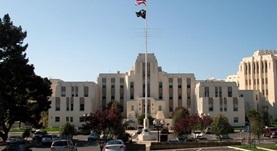 Dr. Lezin has been in practice for more than 20 years and is affiliated with the San Francisco VA Medical Center. During her career, she has also contributed to 29 publications of medical interest. Dr. Elizabeth M. Lezin has contributed to 3 publications. Transgenic expression of CD36 in the spontaneously hypertensive rat is associated with amelioration of metabolic disturbances but has no effect on hypertension. Pravenec, M., Landa, V., Zídek, V., Musilová, A., Kazdová, L., Qi, N., Wang, J., St Lezin, E., Kurtz, T. W.; Physiol Res. 2003. Genetic susceptibility to renal injury in hypertension. Bidani, A. K., Griffin, K. A., Churchill, P. C., Churchill, M. C., St Lezin, E., Kurtz, T. W.; Exp Nephrol. 2001. Genetic isolation of a blood pressure quantitative trait locus on chromosome 2 in the spontaneously hypertensive rat. Pravenec, M., Zídek, V., Musilová, A., Vorlícek, J., Kren, V., St Lezin, E., Kurtz, T. W.; J Hypertens. 2001 Jun.